Since 2004, this wine is now made from grapes growing on the gravely soils of the Herrenweg vineyard (Auxerrois and Pinot Blanc) and red calcareous limestone of the Rotenberg (Auxerrois). Both vineyards represent the same surface and the Auxerrois grape accounts for 70% of the wine. 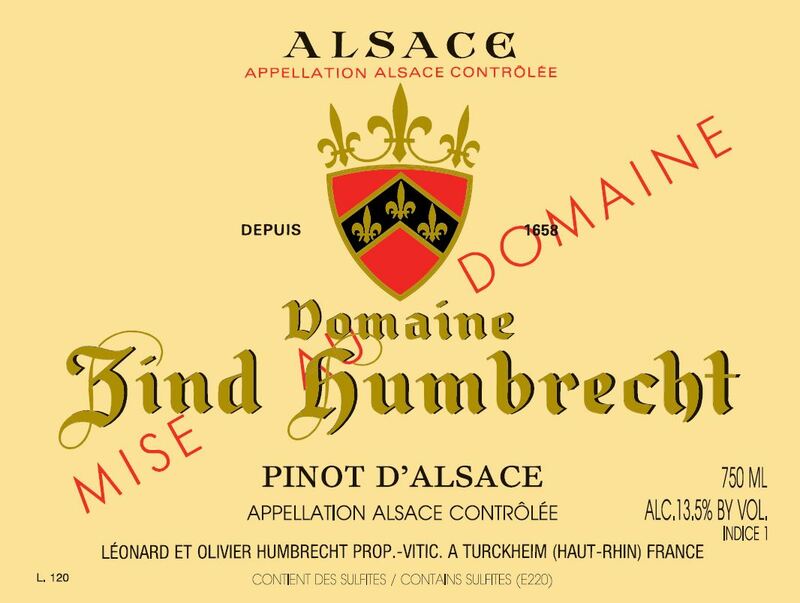 If everybody knows Pinot Blanc, Auxerrois, even if it an important grape variety in Alsace, is not as well known. Most non professional would confuse a vine of Auxerrois with Chardonnay! However, they may be look-alikes (except for a small detail on the leaf), but the wines are quite different. Auxerrois is more aromatic, slightly less precocious than Chardonnay, but much richer than Pinot Blanc. Both Pinot Blanc and Auxerrois are meant to be blended together! In 2007, these grapes ripened perfectly and the wine fermented completely dry. 12/2008: the Auxerrois and Pinot Blanc take a lot of aromatics from the fermentation and after from long lees contact. The 2007 shows some minerality on the nose, quickly underlined by more toasty, bread crust, nutty flavours, and after some air contact, opens up to more fruity aromas. The structure is quite powerful and this wine shows a long finish. A very healthy crop means also a stricter structure. It is a wonderful food wine, bone dry, but shows a nice roundness.